I purchased this book based on positive reviews and finished it because of a type A personality that refuses to quit. I enjoy long books, but only when there is a reason for the length. 9/10s of this book was a cycle of predicability and melodramatic inner dialogue. A valid plot only surfaced in the final few hours, which would be okay if the book was 5 hours, instead of 22. 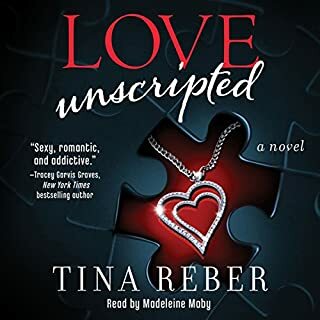 The main characters rushed into "love," sat idling at monotonous trust & celebrity issues for over 2/3s of the book, and then flew through a series of significant events in the last few hours. 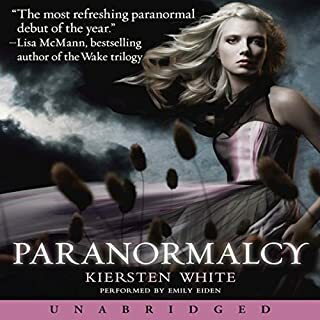 The book lacked consistent character development, completely failed to engage me as a reader, and left me shocked by the number of positive reviews it received. This book was all over the place in a good way. My heart is still racing from the last half hour. 1) Cliffhanger ending, so if you need closure, wait for the next book. 2) Very violent at times and downright disturbing at others...in case that bothers you. The heroine's inner monologues get a little tiresome and the humanity vs. monster battle isn't always consistent. However, she is easy to cheer for and swings a mean blade. Her strength, self-confidence and attitude all spike in this book. Supporting characters are very well-developed...love them, hate them, cry for them, want to slap them, and so on. 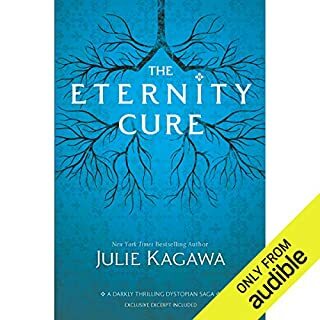 The Eternity Cure is full of substance, well-written and well-executed. 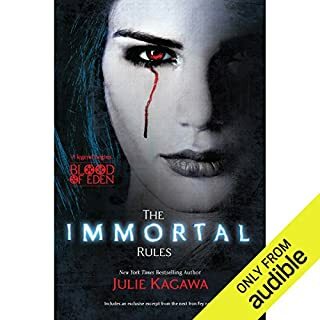 I was fully engrossed in the story and found it hard to stop listening...exactly what I seek when choosing an audiobook. Post-Apocalyptic, vampire, zombie-esque, light romance, with a sword-yielding heroine that reminded me a bit of Buffy...this one has it all. Engaging tale and the story-line does have some unique twists for an over-saturated genre. The narration was very well done and, thought there are slow areas, I found this to be very entertaining. The ending came too soon and I was glad to find the second book after a bit of searching. Dawn of Eden appears to be a prequel and The Eternity Cure follows this book. 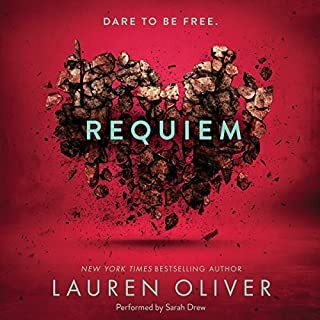 As of today, Audible does not have it linked here and it is a new release. So, if you are like me and looking for more then you are in luck. ...started off pretty strong, but burnt out very quickly. One of the initial scenes really caught my attention due to the strength of the narrator's performance. I remember thinking that if the whole book was like that, then I would be justified in giving this series a second chance. Not so much. I had serious issues with the the first book...too much whine and inner monologues for my taste. I had no intention of reading more, but the second book was available through my library and I was searching for something to listed to after running out of credits. It was much better, so I was actually looking forward to this conclusion. Unfortunately, it was not one. Oliver spent longer describing characters getting ready for bed than she did on this ending. It was VERY rushed. It seemed like the open-ish end was designed to fit the author's mini-political speech/moral of the story. However, I was so frustrated that the book was ending in this state, I didn't care what she wanted me to gain from reading this trilogy. In a three book series, the reader has invested enough time with the story that he/she expects and, I would argue, deserves to have a solid conclusion. Overall, the story dragged often. I often daydreamed during large portions and had to stop and rewind to catch up. After a while, I stopped rewinding and let it play. I did like the introduction of Hanna as a narrator. It was a little odd to move to that format in the last book, but it was a great way to show the readers/listeners both sides of the wall. If you loved the other books then definitely read this, but prepare yourself to be disappointed. I thought the other reviewers might be over-reacting about the abrupt ending, but I think knowing the risk helped ease my frustrations. I really think that Amanda Ronconi could make the phone book entertaining. I don't think the book would have been as fun to read on my own as it was to listen to her read to me. She really is fantastic and so very appropriate for this genre. The story had a lot of potential and kept me entertained. Certain characters could have been developed more and the rules for magic in her world established better. The book seemed a bit rushed at times and I would have been happy to listen to a longer version with more details. I didn't laugh aloud as often as I do with Molly Harper's books (yes, they are similar as other reviewers have stated), but I did laugh and chuckle and grin a lot. 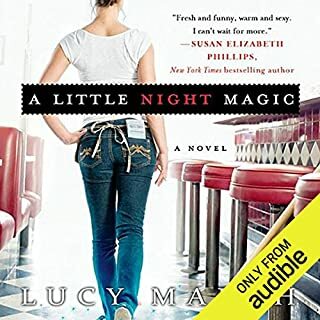 I would definitely read other material by Lucy March, especially if narrated by Ronconi. 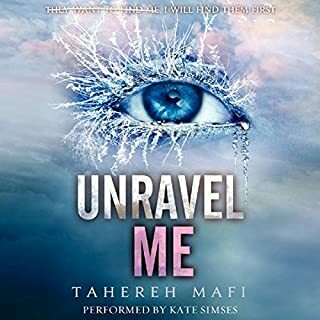 Mafi makes even torture sound beautiful! This author is a master of creative imagery. Her writing style gives this text a richness that is extremely rare in contemporary writing. I kept expecting it to get old or tiresome, but instead, I found myself wishing I had the physical book so that I could highlight some of her phrases. I really enjoy the author's writing style, but could see how someone more literal, might tire of the figurative language used. So, for those of you who might fall into that category...if you want an author to say "I almost cried," instead of talking about the dam in her eyes holding back the waters...you might want to choose a different book. If you like strong imagery and really enjoy writing that feels three-dimensional...do not pass this series up. Even though there is a lot of descriptive language, the story does not drag or slow at all. Usually the middle book in a trilogy is a bridge that feels more like filler than substance. That is not the case here. If the background information from the first book was not so helpful to character development, this book could stand alone. The Shatter Me series is written in narrative form (stream of consciousness). Juliette's choices in this book surprise me, but not because I don't understand how she feels. This writing style allows you to understand the actions our heroine takes, even if you don't agree with them. I admit, I hit pause a few times to get over my shock at the things happening. The story moved and evolved well. There was a cliff-hanger at the end of this book and a rushed conclusion. It makes me eager for the third book, but it wrapped up enough that I didn't get frustrated at the break. I would definitely suggest reading the first book before this one. Also, there is a 1.5 called Destroy Me that you can can get for the Kindle. And just in case you haven't already figured it out, the scratching sounds indicate that the previous statement/sentence was crossed out in the text. I really enjoyed my time with this book and will probably visit it again a few times before before the final installment is released. Indulge yourself with this one, but bring Kleenex. 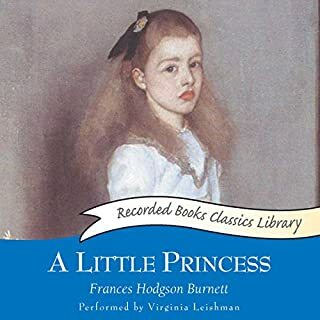 The Little Princess is a fantastic novel, offered here with excellent narration. It is an often overlooked classic, but a story that touches the heart and spirit of the child within us all. Wow...that really sounded cheesy. Well, it is in a good way. It's a Cinderella story without the romance, with less magic and more imagination. A little girl, who appears to be a princess on the outside, has her outwardly riches stripped away. Yet, she is able to remain a "princess," despite dire circumstances, through the strength and beauty within her. It does have a happy ending and all of her efforts to stay true to herself are rewarded in the end. Granted, many of the rewards are back to the physical, but she finally gets the answer to an early question of whether she would stay a princess if luck had changed her fortune and she was met with adversity instead of everything she wanted. It may have been required reading in your school, but it is still definitely worth a credit! Molly Harper + Amanda Ronconi = Entertainment. I purchased this book first on my Kindle and was surprised that it wasn't as funny as most of Molly Harper's books. I thought I would give it another try on Audible and realized that Amanda Ronconi not reading the text to me was the reason the humor fell flat. I've listened to it twice since then. She really is a perfect narrator for the snarky characters Harper creates. This is a fun and fast read. It reminds me of a really great episode of Friends. Lots of laughing out loud, wishing I could be as witty as the characters, and just enjoying the time spent with the story. It is a stand alone work, although I wouldn't be disappointed to see the characters again. It reminded me of "And One Last Thing..." That is another one that is fun to repeat when you just want to be entertained. Left me feeling much too old. From the reviews I read, I expected a book filled with humor and wit, with a side of supernatural...on the lines of Buffy or early X-Files. I didn't laugh at all and took about three times longer than normal to work my way through the book. It was light-hearted enough, but lacked depth and substance. I could have walked away at any time and probably not thought about it again. If you like Vampire Academy or The Vampire Diaries series...I think you will love this. They gave me the same vibe. If you are a parent looking for a contemporary and safe read for your child...this is one of the best choices I have come across in this genre. I was actually impressed with the lack of bad language and sexual references. Even the violence was minimal. No complaints about the narration. It grated on my nerves at times, but that was more in the phrasing, which would have been a problem reading as well. I really do think the voice of the character was accurately portrayed. Overall, I would recommend it for a younger audience or someone who enjoys more youthful humor. If you are looking for something along the lines of Molly Harper read by Amanda Ronconi...this is not it. Deuce’s whole world has changed. Down below, she was considered an adult. Now, topside in a town called Salvation, she’s a brat in need of training in the eyes of the townsfolk. She doesn’t fit in with the other girls: Deuce only knows how to fight. To make matters worse, her Hunter partner, Fade, keeps Deuce at a distance. Her feelings for Fade haven’t changed, but he seems not to want her around anymore. Confused and lonely, she starts looking for a way out. Loved the First Book, This One is Even Better! 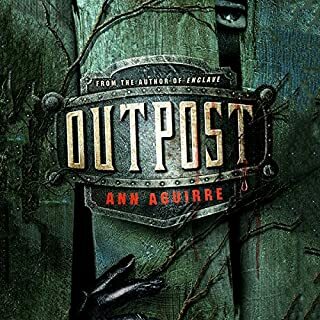 I read Enclave on the Kindle in a few days and could not wait to get into Outpost. This is a really well-written series that ties you to the characters and lets you feel the world through their skin. I am claustrophobic, but was terrified by all of the space Deuce encounters during this next part of her journey. I love it when a book takes over your reality and makes the world within the book too real for comfort. There were some long stretches of inactivity during Outbreak. However, they did not bore me. Rather, I enjoyed pausing the action a bit to explore the characters more. It was definitely not as fast paced as Enclave, but the constant outward battles of the first book gave way to more internal battles in the second. I also like how the author wraps up each novel, but sets you up for more. It makes it easier to wait for the next book. Highly recommended and looking forward to part three in October!